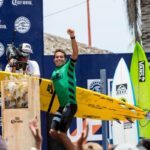 Maui-based charger Kai Lenny took top honors today at Playa Zicatela in Puerto Escondido after stylishly driving though an oversized tube in the dying minutes of the final, earning him an 8.60 and putting him comfortably in first place. 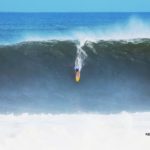 Puerto Escondido is notorious for delivering both perfect, cavernous tubes and brutal closeouts alike, and even the most experienced Puerto tube shooters often find themselves on the wrong end of a liquid guillotine. 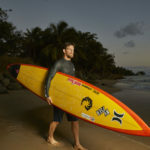 But Lenny’s last-minute wave selection was enough to give him the edge he needed to take the win. 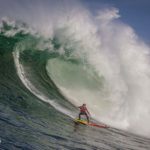 One of the most impressive performances in the history of big-wave competition actually came from the second-place finisher, Jamie Mitchell, who paddled out and pulled into countless house-sized tubes despite the fact that he had a fractured sternum—an injury that he sustained at this very same stretch of punishing beach break just a few weeks ago. Stay tuned for a full gallery of the day’s action, coming soon. 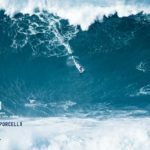 KAI LENNY JUST KNIFED NELSCOTT REEF’S BEST BARREL EVER!